I’ve just heard from Graham Farmer that Vic Keeble, who those of you of some vintage may remember, has died at the age of 87. He had lived in Earls Colne for several years. Vic was a past Colchester League men’s singles champion and also played in the Chelmsford League, where he was a member of the Rosebery team that won the first division on a number of occasions. He also played league football with Colchester, West Ham and most famously Newcastle, where he won an FA Cup winner’s medal in 1955. We have arranged with Braintree Town Football Club to have a come-and-try-table-tennis session for kids on Saturday morning Feb 10. It’s part of the club’s Iron in the Community initiative where they involve local schools in activities not necessarily connected with football. 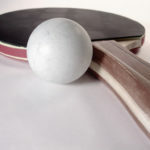 It will be an introduction to table tennis for the kids (aged 7-15), with the hope that some of them will enjoy it sufficiently to want to take it up. Keith Martin has agreed to run the event but with 15 kids at once he is going to need some help. I’d be grateful if some of you could pop down for at least some of the time to give him a hand. You won’t have to do any coaching as such, just showing them how to hold a bat and the elementary stuff of getting the ball on to the other side of the table and then just feeding the ball to them – so no coaching experience required. There are two sessions, from 9.30 to 10.45 and 11.00 to 12.15. Any help between those hours will be greatly appreciated. If you can make it, can you let Keith know on keithmart@gmail.com. Whilst club funds remain healthy, we are always looking for ways to increase funds so that we can try to keep membership fees as low as possible. One very successful way to do this is to raise funds by asking you all to use Easy Fundraising to support the club. To date, we have raised well over £600 for the club through this but we need to increase this – it is a way for us to raise money for the club at absolutely no cost whatsoever to our members. The way Easy Fundraising works is very simple. You go to the Easy Fundraising website www.easyfundraising.org.uk/ then simply enter ‘bnca’ in the box to find us. You will then need to click the ‘Join Us’ button and fill out your details so that you are registered to support BNCA Table Tennis Club. Once you have registered, all you need to do is use Easy Fundraising any time that you want to purchase anything online. There is no additional cost to you, the club simply receive a small percentage of anything you spend when you go via Easy Fundraising. You probably get the idea by now – pretty much anyone and anything is available through the Easy Fundraising website and every time you use it your club benefits. So, PLEASE register with Easy Fundraising to support BNCA Table Tennis Club and help us raise free money for the club. If we raise enough we can keep fees down, improve equipment etc. so it really is in all our interests to support the club this way. We are not asking you to buy raffle tickets, come to a quiz night etc., simply to do what you would normally do anyway when buying anything online, but do it through Easy Fundraising! We look forward to seeing our supporter numbers on Easyfundraising grow considerably in the next few days as you all register to support the club – and remember, you can encourage friends and families to do this to support us too! I have now received both the second half of the Click League fixtures (we now have two teams, called Buccaneers and Barracudas) and also the next round of all the cups, which were drawn yesterday. I’ve added them to the fixture list, BNCATTC-Fixtures.xlsx. The new fixtures are highlighted by being out of alignment with the rest, something I would like to claim credit for but is actually explained by my lack of familiarity with Excel. As you will see there are now four fixtures on Tuesday 9 January and Tuesday 27 February. That means these dates won’t be available for any rearranged fixtures. I thought it worth reminding everyone now that we’re around half way through the season that the league may have to reorganise the divisions next season. The current arrangement of ten teams in div 1, eleven in div 2 and nine in div 3 came about as a result of withdrawals and new entries, and the fact that we didn’t want to relegate a team that hadn’t finished bottom of their division. That cannot be guaranteed this time. If we have the same lineup next season, it will be necessary to relegate two teams from division two. If we have additional entries that may not happen, but of course that’s not something we can anticipate. 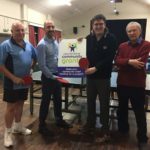 The club has recently acquired new tables, nets and surrounds following a successful bid to Braintree District Council for funding. The funding came from the individual councillors’ fund and each of the three councillors representing Black Notley, Graham Butland, the leader of the council, Tom Cunningham and Frankie Ricci, contributed £500. Councillors Cunningham and Ricci came along to the club to make a formal presentation and to see the club in action, as well as trying out the facilities for themselves. : (from left) Club chairman Steve Baines, Councillor Frankie Ricci, Councillor Tom Cunningham, club secretary Ron Fosker. 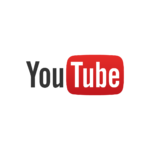 The club now has its own Youtube channel. (Click the logo) This will be updated on a regular basis so please check back often. Once again Liberal A, champions for the last two years, lead the way at the mid-season break in the Braintree Table Tennis League. But unlike last season, when they had opened up a 25-point gap at this stage, this time they are only just keeping their noses ahead of second-placed Rayne A. The difference has not so much to do with their own performance, where they have as last year won every match, but is down to the more potent challenge from their rivals. Last season the Rayne club’s four top-scoring players, Alan Burgess, Steve Pennell, Adam Buxton and Hector Rogers, were in three different teams. This year they have been brought together to have a stab at the title. They have lost twice, 6-4 to both Liberal A and Netts A, but have otherwise strung together an impressive set of results and should keep the title race alive for some matches to come. Black Notley B, second last season, have opened up a lead in division two but Rayne E have been strengthened by the return to action of former first division player Dean Andrews and will be out to make up ground in the second part of the season. Second place is all the teams in division three have left to fight for as Felsted RBL C continue to march off into the distance. They have conceded just nine sets in ten matches, a record rendered even more remarkable when one remembers that five of those came in their first match when they came up against an inspired Peter Taylor, who won his three singles and shared in a doubles win. Since then it has been 9-1 and 10-0 all the way.